Get Started On Your Path To Success Today! A challenge common to all businesses, of all sizes, regardless of what they sell and who they are selling it to, is ensuring they have a consistent stream of potential customers or clients. This challenge presents itself to multi-billion dollar businesses like Apple to the small bakery on the corner. The difference between Apple and the bakery is Apple has a seemingly unending amount of resources devoted to attracting and keep new customers, where the bakery has a very finite amount of resources for which they must devote to running the day to day business – while trying to find time to market themselves. So much like a new iPhone must seem like a luxury to most, marketing to the bakery might also seem like a luxury. However in 2018 where there is more competition than ever, if you wish to stay relevant marketing your business is not luxury, or thing you should do, it is something MUST do. Marketing was once viewed as something you did when you wanted to grow your business. Businesses used to put ad in the paper, or advertised in the phone book, or as technology developed spent some money on Google or even Facebook ads. Whatever the case it was something done when they were ready to grow. We live in a different time. For a variety of reasons finding and keeping repeat customers has become more difficult, which brings us back to the challenge of maintaining a consistent stream of potential customers. Marketing is no longer for when you are ready to expand, but a necessary activity to EXIST as a business. Ready to get started on a custom marketing plan? Contact Beacon Marketing today to schedule FREE one hour consultation! 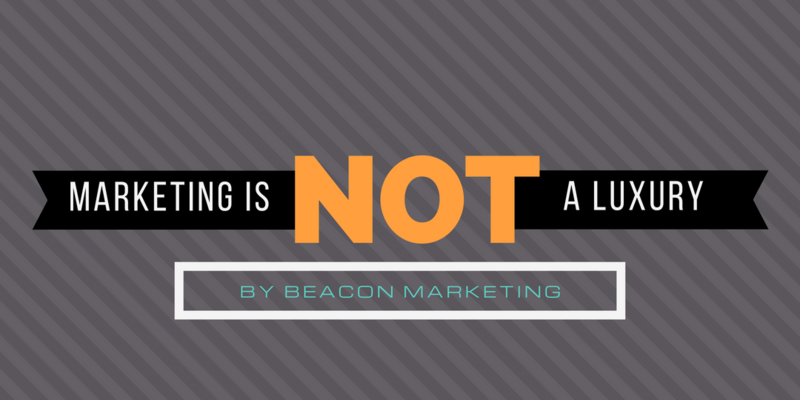 The good news is marketing does not to be difficult. No longer are you regulated to pricey television or radio ads or do you have to devote hours blogging to build up your blog. There is a lot you can do with images and videos. If you own a smartphone, chances are you can create some pretty good content. Platforms like Instagram and Facebook give you ability to grow a reach a large audience without having to spend a lot of money or time. Must like an oven is a needed investment for the bakery, marketing is a necessary investment for every business. Many business know the importance of marketing, yet for some reason still under invest. Many business owners state they wish they would have spent more on marketing in the first year of business. Often the hardest step to take is the first. However once you do, it becomes a lot easier. And if you ever get lost along the way, Beacon Marketing is always here to help guide you along your path to success.